Video game enthusiasts will be inspired with this eye-catchy tattoo design sprawled across the full sleeve starting from the moonlit temple on the shoulder going down towards the wrist. 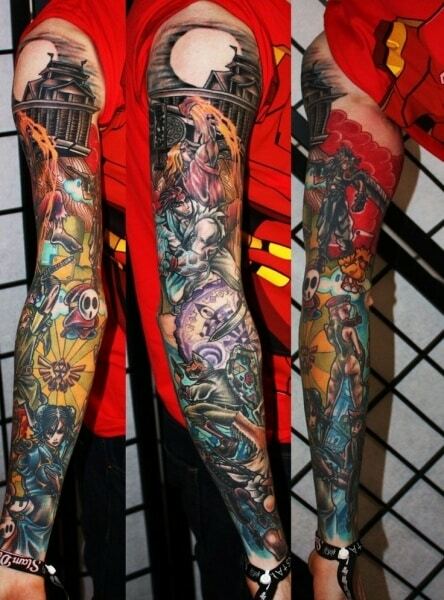 Vividly colored fighters, villains, and popular characters gathered altogether power up this amazing work of art. 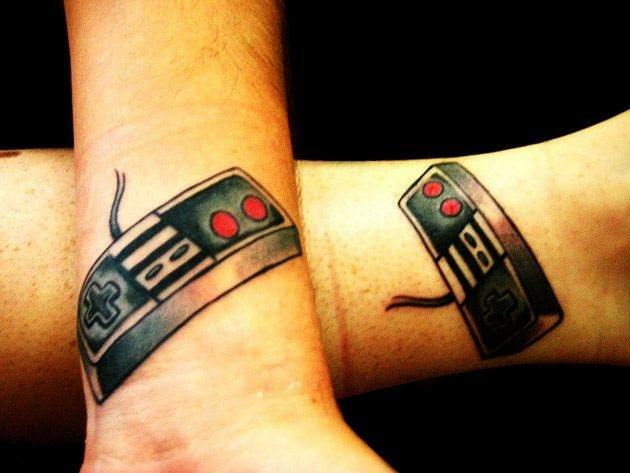 Nostalgia would befall anyone who gets a glimpse of this video game tattoo made up of the Nintendo controller. It’s perfect for couples who enjoyed family computer games back then and take high regard for classic games. Now, do you remember those combos for unlimited lives or invulnerability? 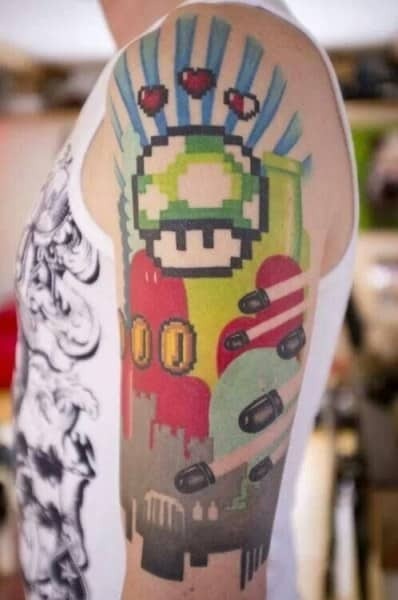 The most anticipated 1 Up mushroom brings you the best gamer tattoos for guys. Many elements of the Super Mario game are seen floating around in this colorful world like the gold coins, heart lives, bullet bills, and that fun green pipe that can take you anywhere! The programmed trigger in BioShock, “Would You Kindly” post-hypnotic activation phrase that empowers you over Jack’s actions is scribbled across the shoulder blades. Chemical thrower weapons are found on each side of the quote near the shoulders, enhanced by realistic gushing vein effects. 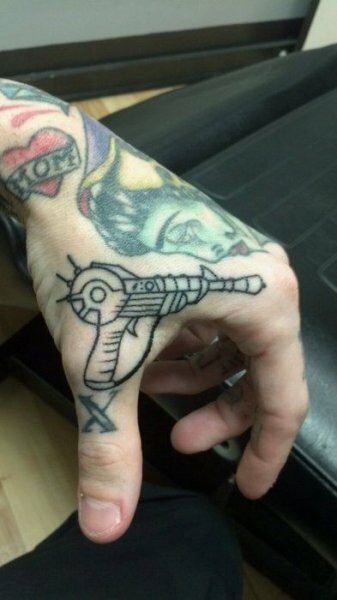 A ray gun from Call of Duty Nazi Zombies is featured in this video game tattoos idea inked on the hand.The small yet remarkable gear that’s illustrated in black and white shows great detail throughout the ray gun’s entire body. 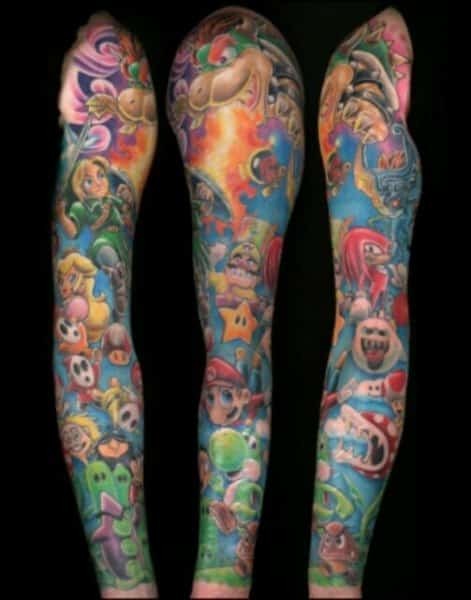 Super Mario, Princess Peach, Yoshi, Wario, Bowser and Goomba are only to name a few of the lineup of video game characters this tattoo comprises. Pricky piranha plants, yellow stars and more classic elements enhance the full picture of this admirable design. 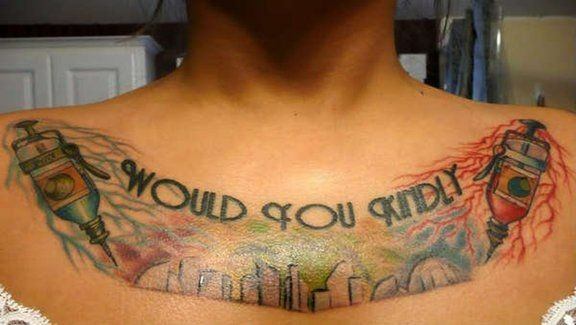 BioShock’s Big Daddy and his little sister renders one of the most impressive tattoo ideas for men. 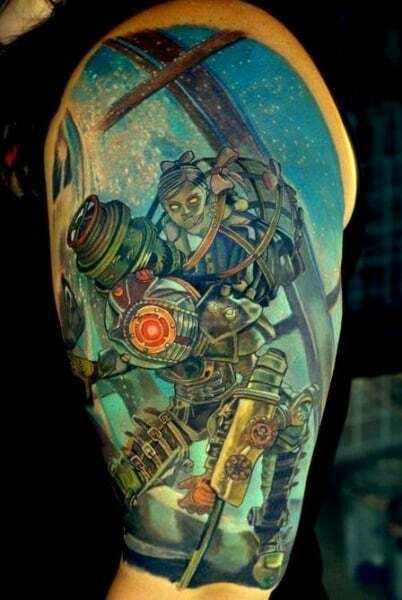 These haunting, genetically enhanced human beings turned into a massively huge diving suit has been put into a complex and praiseworthy tattoo image. 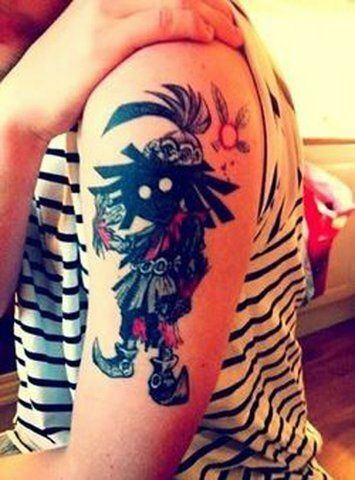 Majora’s Mask from the Legend of Zelda makes for a brilliant arm tattoo. It’s unusual much like the game’s storyline of a different and mysterious setting compared to other Zelda titles. The shadowy image adds more meaning and charm to the design. This video game tattoo for men is inspired by Fallout New Vegas. 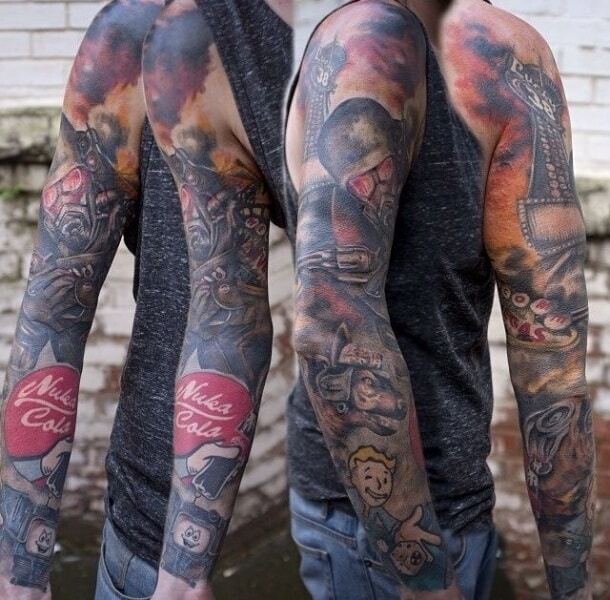 This epic full sleeve holds details true to the game and manages to evoke the same game atmosphere of a post apocalyptic desolate feeling. realistic colors add to the beauty of this tattoo.